Das Notenheft „The Bird Wedding“ mit Klaviersätzen und englischen Gesangs- und Erzähltexten sowie einer CD mit allen Liedern und Playbacks jetzt erhältlich. 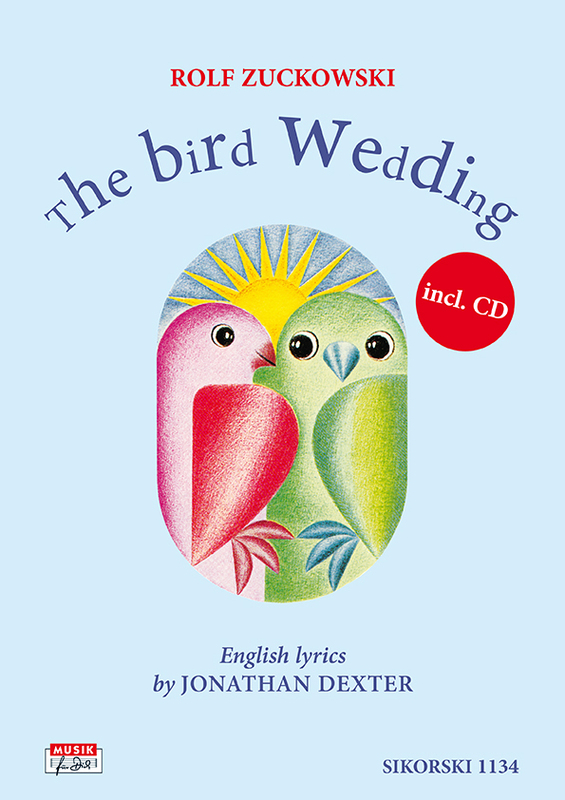 The Songbook “The Bird Wedding” with piano arrangements and English lyrics and narrative texts as well as the CD with all songs and playbacks out now. “Bird Wedding all around the world! It started in 1977 with my original version of this musical story, based on a picture series by my good friend Peter Meetz. After having been translated into French, Swedish, Spanish, Chinese and some other languages, now finally - thanks to Jonathan Dexter - here it is in English!